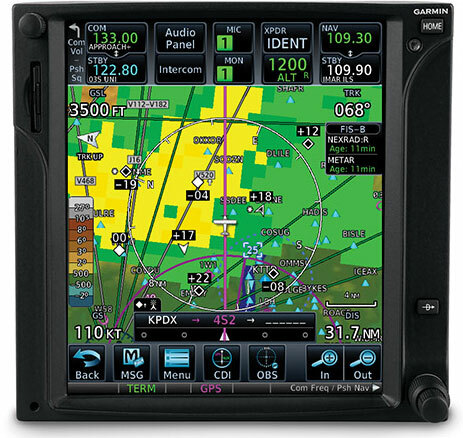 With the introduction of the GTX 345R remote-mounted Mode S Extended Squitter (ES) transponder, Garmin provides the ideal upgrade path for aircraft operators looking to satisfy NextGen requirements for ADS-B “Out” — while providing all the weather and traffic benefits of ADS-B “In” with select G1000, GTN 750/650 and other 3rd party avionics. What’s more, the GTX 345R is also optionally available with a built-in WAAS GPS position source³, so everything needed to meet the ADS-B equipage rules can be provided with this all-in-one upgrade package installation. Offering more fielded ADS-B solutions than any other brand in the industry, Garmin is committed to making the transition to NextGen airspace as seamless and cost-efficient as possible. The IFR-certified GTX 345R is a prime example. It’s an all solid-state design, which makes for lower power consumption and enhanced reliability, compared to earlier-generation transponder technology. Plus, the unit’s 1090 MHz ADS-B “Out” transmission capability (using precise GPS-referenced positioning information) enables the GTX 345R to automatically output the more accurate, more dynamic traffic surveillance data that the NextGen airspace system requires. For aircraft that may prefer or require a diversity solution, GTX 345R is available in a diversity configuration which utilizes two antennas — mounted on the top and bottom of the aircraft — to provide superior operational coverage. In addition, available ADS-B “In” reception unlocks even more capabilities for pilots, enabling them to display ADS-B traffic, weather and more on a variety of installed or portable displays. The extra-precise GPS position reference needed to meet the traffic monitoring requirements of ADS-B can be provided either by the WAAS/SBAS-compliant navigation system that you may already have in your panel — or by an optional built-in GPS position source available with your GTX 345R transponder³. However your aircraft is currently equipped, the Garmin GTX 345 series offers a simple, minimally intrusive ADS-B solution to meet your needs. As an added bonus, the GTX 345R also makes available the subscription-free weather and traffic display capabilities enabled by ADS-B “In” — which can be interfaced with compatible cockpit displays, including select G1000 and GTN 750/650 systems, or streamed wirelessly via Garmin Connext to our aera 796/795 and aera 660 series portables, as well as to tablets/mobile devices by way of the Garmin Pilot™ or ForeFlight Mobile apps. 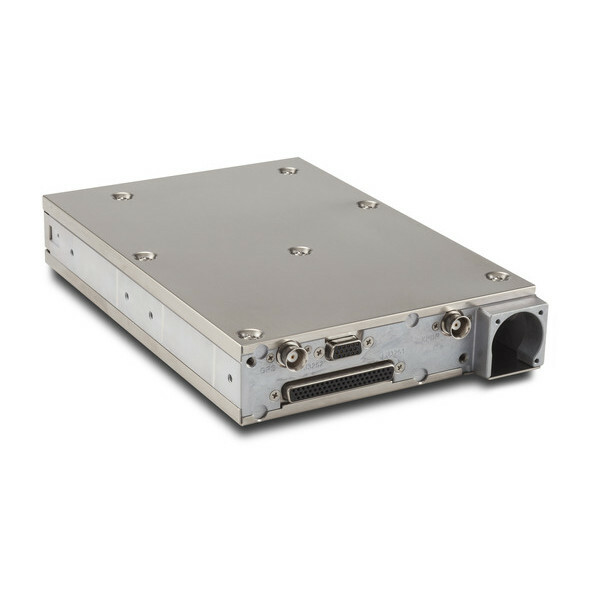 The ADS-B weather link is continuously broadcast on the 978 MHz Universal Access Transceiver (UAT) frequency, and is similar to the basic services offered by leading commercial satellite weather providers. For example, you can access NEXRAD imagery, METARs, TAFs, winds and temperatures aloft, PIREPs, NOTAMs, and more¹: Along with this, you can also receive ADS-B traffic position reports (and threat-level symbology) to help you see-and-avoid converging targets in busy airspace. Spoken audio alerts call out potential flight path conflicts (“Traffic, 10 O’Clock, same altitude, two miles”) to get you looking in the right direction. Meanwhile, on your cockpit display, Garmin patented TargetTrend™ relative motion display¹ offers a faster, more intuitive way of judging target trajectories and closure rates in relation to your flight path. As an added safety feature, available on most new Garmin products, our TerminalTraffic™ technology provides a comprehensive picture of ADS-B equipped aircraft and ground vehicles in the airport environment. ADS-B equipped aircraft in flight are easily distinguished from ground vehicles and taxiing aircraft, which are displayed using distinct colors and symbols. All of this information is presented on a simple, easy-to-understand SafeTaxi® diagram which references the location of runways, taxiways, hangar locations and more. The GTX 345R ADS-B receiver is a dual-link system. 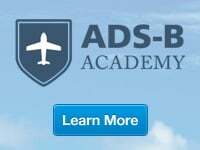 So, it can receive on both frequencies (978 MHz and 1090 MHz) authorized for ADS-B operations in the U.S. Not only does this provide the most complete traffic picture from aircraft transmitting on either frequency, but it also enhances your aircraft’s ability to access ADS-B transmissions and services from virtually anywhere. When integrating an active traffic system with the GTX 345R, ADS-B traffic and active traffic targets are merged on the display to give pilots a truly comprehensive traffic picture. With a variety of compatibilities covering most fielded displays, our ADS-B enabled GTX series transponders offer the easiest NextGen upgrade path available from Garmin — especially for owners of select G1000-equipped aircraft. 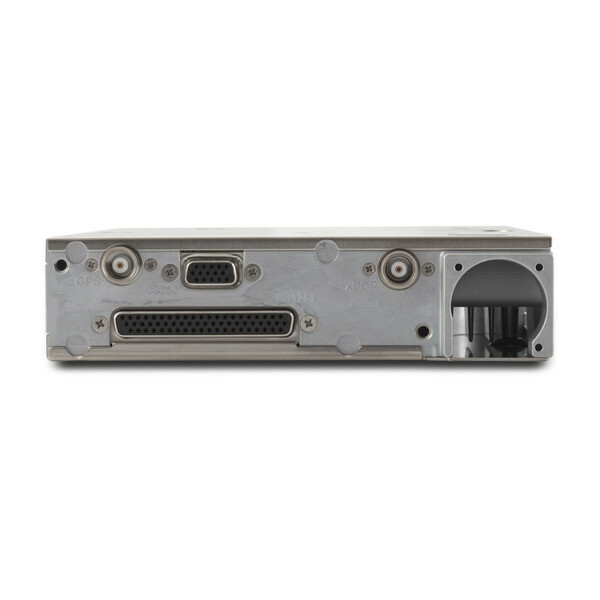 For these systems, the remote-mount GTX 345R interfaces with either the aircraft’s existing WAAS position source for navigation or uses an optional built-in WAAS position source to meet ADS-B “Out” requirements. 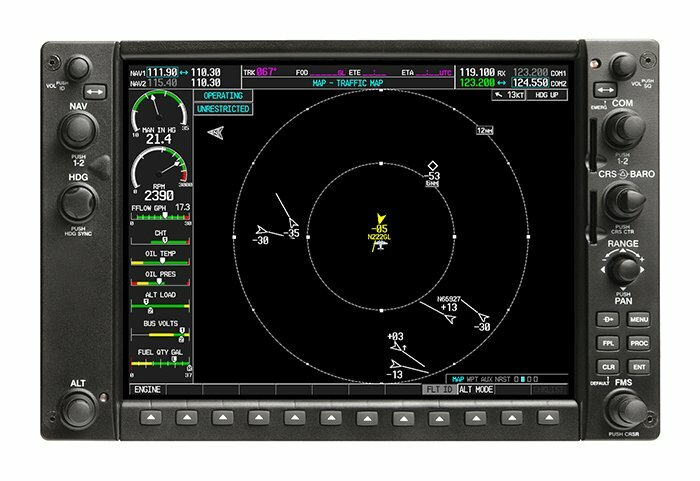 The G1000 series displays interface with the remote GTX transponder to provide onscreen squawk code entry and control in the conventional manner. 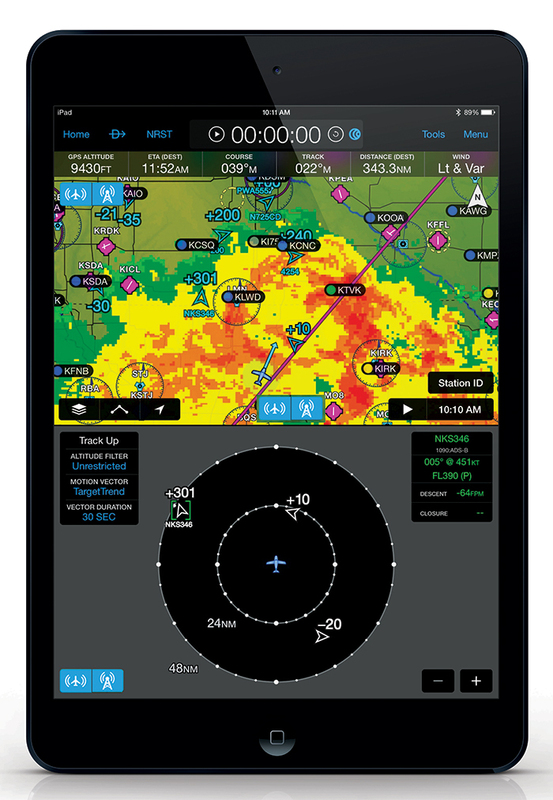 Depending on the software version installed, your Garmin glass displays can also support subscription-free weather on the MFD — as well as ADS-B traffic targets on both the MFD and PFD displays for aircraft equipped with Synthetic Vision Technology (SVT™). For added situational awareness, the GTX 345R incorporates a built-in audio output for audible traffic and altitude alerts¹, which can be integrated into your existing audio panel. You can also pair the GTX series with an optional Garmin altitude encoder to satisfy data transmission requirements for IFR. 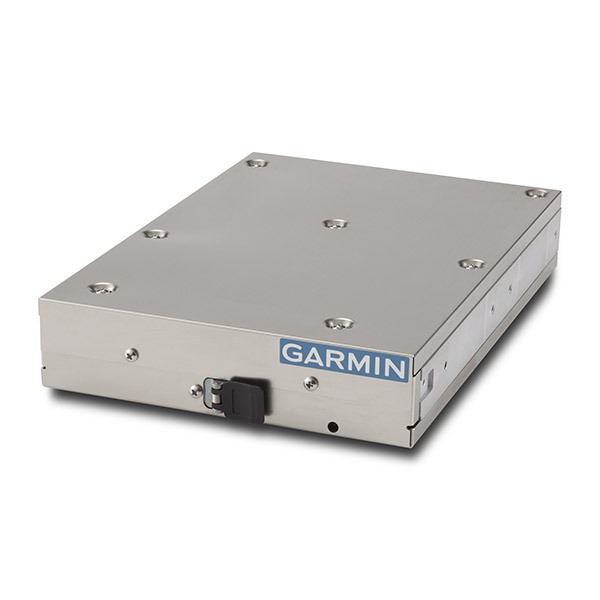 As opposed to other transponders with altitude encoding built in, the Garmin altitude encoder mounts separately on the install rack. So, should the transponder ever require removal, there’s no need for the static line to be disconnected. Which, in turn, eliminates the need for a follow-on leak check — and thus helps minimize ongoing service costs. The Garmin GTX 345R series is FAA and EASA approved for installation on hundreds of today’s most popular aircraft makes and models. For decades, Garmin has led in the development and deployment of ADS-B technology. And when you compare all the options available, it’s clear that Garmin is committed to making your transition to ADS-B operations as simple, economical and worry-free as possible. ¹Garmin ADS-B compatibilities cover a wide range of systems and displays; however, not all functions may be available for every configuration. Please check the Compatibility tab for more specifics or limitations that may apply to your system. ²AHRS may be disabled in rotorcraft installations, see your authorized Garmin dealer for more details. Up to 60 targets¹ are sent to the 3rd Party display. Refer to 3rd Party documentation for description of traffic display function. FIS-B data is sent to the 3rd Party display. Refer to 3rd Party documentation for description of FIS-B display function. Up to 2 wirelessly connected Android, Apple or Garmin devices. Garmin Pilot version 7.1 and above running on all the supported devices above with versions 8.1 and above. ForeFlight Mobile version 7.3 and above running on the iPhone/iPad supported devices above with versions 8.1 and above.